A lot of music has been posted on this site, and all of it is still available. If you cull everything from the very start of the blog, April 14, 2007, up through September 12th’s entry, you have about 75 minutes of lost music. 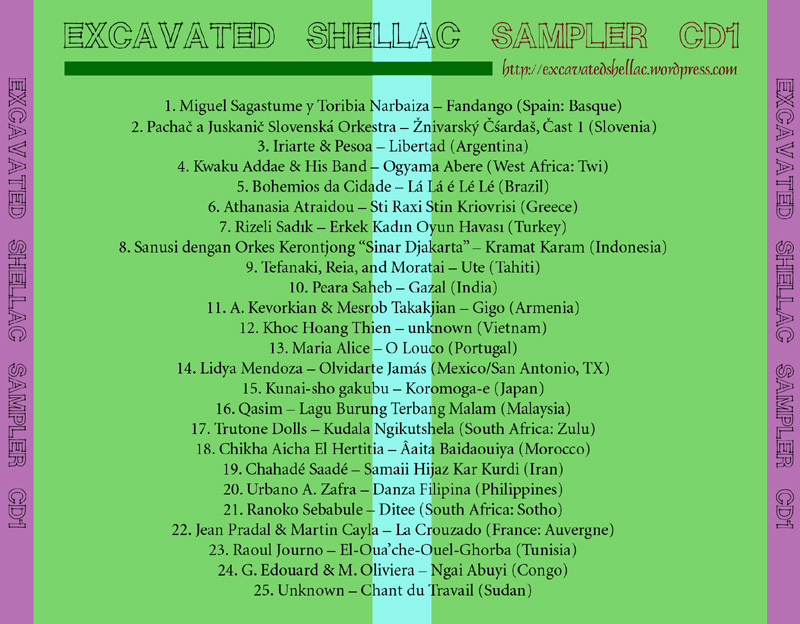 I decided to put together simple, downloadable artwork for the Excavated Shellac Sampler CD, Volume 1, for those interested in doing something with this music other than a) keeping it on your hard drive, or b) putting it on an iPod. Which may be, in fact, nobody, but what the hell. So, here are the high-res covers: front and back. These will work for any regular sized CD case. Then, number your tracks – I went ahead and created a track list to follow, which appears on the back cover template, so you can copy that – or make your own if you like to agonize over such stuff, as I obviously do. Print! 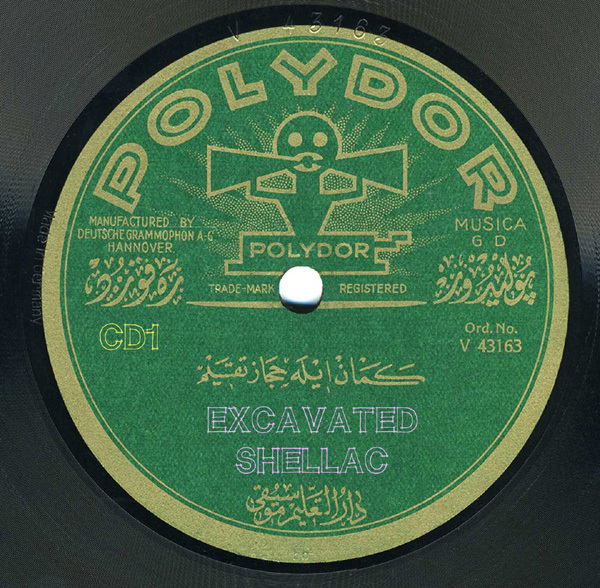 I must admit that I’ve already compiled the first batch of your excavated tunes onto a CD for myself – in fact, my computer speakers are so horrible that I held off listening to them properly until I had enough to fill a disc. I kept them in the order you posted them, however, and ended at track 24 (Urbano A. Zafra – Danza Filipina) – which seemed like the perfect piece to end an album. Thanks so much for making all this music available – the effort you put into this blog is really appreciated. I’m really looking forward to the day when there is enough for a second disc! Thanks, Rob! That’s really fantastic – believe me, any way you prefer to listen is absolutely okay by me! its my first visit to this site via el chavo’s links and man, you are rad! Thank you very much for your kind words, I appreciate it. just discovered your excellent blog today, but unfortunately all the earlier links seem to be dead. is there a way to re-post them somewhere, as i would be very interested in burning myself the compilation CD above. The older tracks may be returning in the relatively near future under a slightly different guise, so keep checking back.